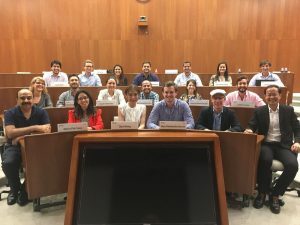 As a participant of the International MBA Bilingual programme, I had the opportunity to experience a week in Singapore during the Path of Development week with the specialisation module Global Innovation Management—and I profess, it was a trip to the future! Singapore is a city that accommodates a vast population of 6 million habitants in nothing more than 750 km2 of land. Regardless of the limited natural resources and its size, it´s astonishing how effectively its resources are utilised- in my eyes the city was modern, green and welcoming. This is a result of the vision and planning of the country’s current leader, who has converted Singapore in Asia´s Business Hub in less than 50 years. During the trip, I couldn´t stop thinking about my country, which has a similar population to Singapore´s and much greater size of land (51.100 km2) with a vast amount of natural resources. The lack of planning has turned the country into a place where, for example, the traffic congestion is a daily routine for its habitats. In Singapore, we visited Nanyang Technological University (ranked 11th worldwide) where we had the opportunity to attend lectures and visit the Autonomous Vehicle in the Energy Research Institute. The facilities and daily dynamic of the university prove that Singapore is the perfect place to visit without a doubt. We met Nadine, a robot who could interact with us and answer any question asked. It was a great experience to witness the level of Nadine´s empathic capacity. This experience was like watching a sci-fi movie at the cinema such as I Robot! I question what the future will bring. How will the advances in technology affect the economy and society? Although it seems frightening, the idea that robots may replace the workforce in the future whilst humans focus more on analytical issues may be promising. People would have an improved lifestyle, being able to better balance work-family roles and focus on matters of their own interest. I recommend the experience that the International MBA programme gives you. 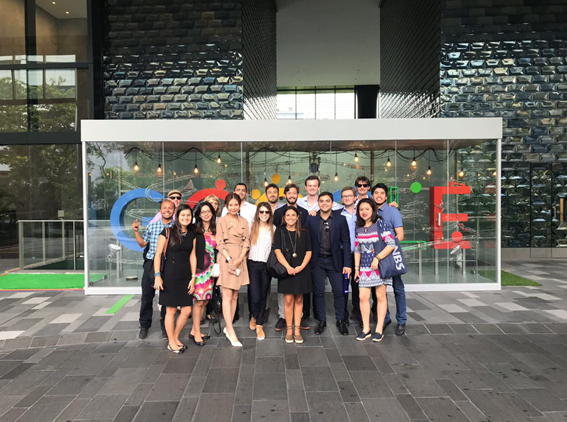 Visiting Google, Tech One and HP at the Asian Business HUB in Singapore was unforgettable! Melissa Cambronero Ulate (Costa Rica) is currently studying the International MBA Bilingual programme at EADA (2018). She holds a BA Honours in Business Administration and works as a Financial Analyst of Strategic Projects and M&A ´s for a Cooperative in Costa Rica. Previously, Melissa worked at Ernst & Young as a Senior Associate and is currently working at EADA as an intern in the Strategic Marketing & Communications Department. Finance alumnus Sergejs Saveljevs post-graduation: "I use what I learned every day"